arquilecturas: Inner World / Innen Welt: The Projects of Haus-Rucker-Co. 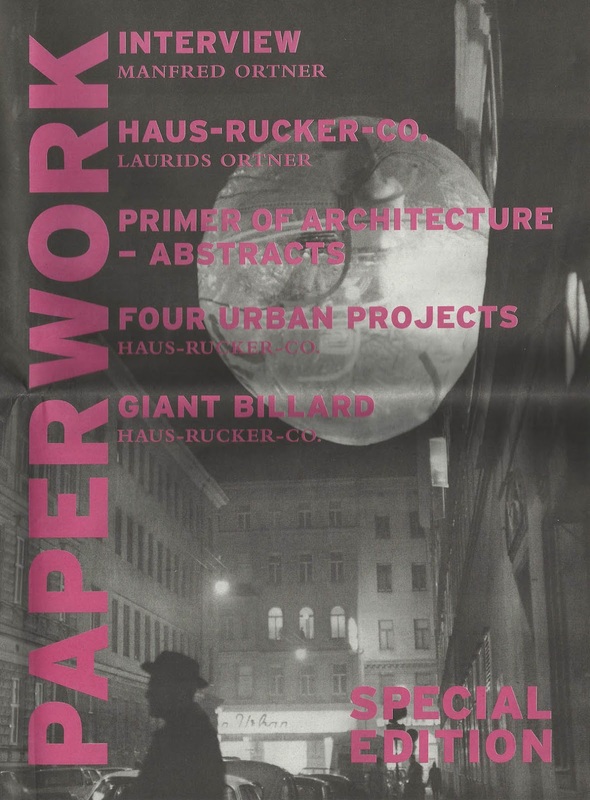 Inner World / Innen Welt: The Projects of Haus-Rucker-Co.
Coincidiendo con la exposición Inner World / Innen Welt: The Projects of Haus-Rucker-Co., 1967–1992, la galería londinense WORK ha publicado una edición especial de su revista PAPERWORK que localiza el trabajo de Haus-Rucker-Co en los más amplios contextos estéticos, históricos y sociopolíticos. | To coincide with the exhibition Inner World / Innen Welt: The Projects of Haus-Rucker-Co., 1967–1992, WORK London Gallery has published a special edition of his magazine PAPERWORK that locates Haus-Rucker-Co.’s practice within broader aesthetic, historical and sociopolitical contexts. WORK presents a retrospective of key projects by avant-garde Viennese architectural group Haus-Rucker-Co.
Haus-Rucker-Co.’s designs for inflatable structures, prosthetic devices and interventions into public spaces were also blueprints for social change and an experiential theory of architecture. 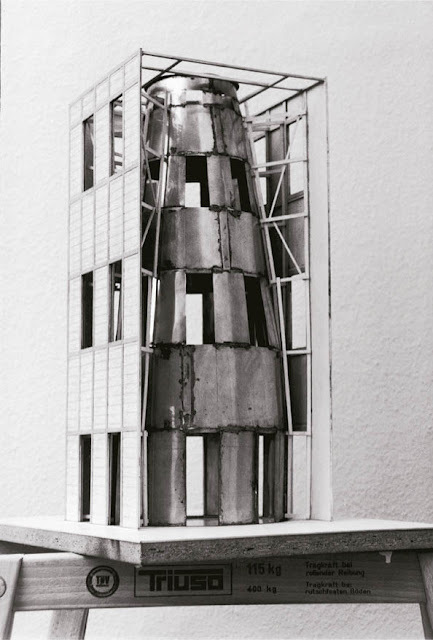 Situating itself in the transitional ground between architecture, design and action art, the group was unique in its distinctive emphasis on the perceptual realm. 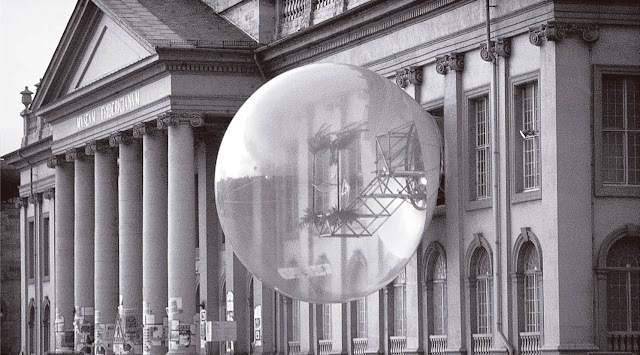 Their pneumatic projects aimed to counteract apathy and passive acceptance of one’s environment by distorting the experience of public and private spaces, evoking a “feeling of foreignness”. Immersive environments, bubble and capsule forms, and mind-expanding structures for private contemplation or forging personal connections all delineate not only specific physical zones but also psychological spaces. Haus-Rucker-Co. also took a playful approach to architectural materials and strategies. 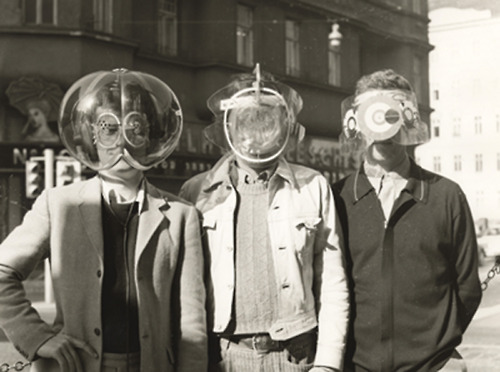 Plastics—mutable, flexible, inexpensive, and with seemingly infinite potential—provided not only the material for many of their projects but also served as a model for the era’s futurist vision of a democratic and mobile lifestyle. 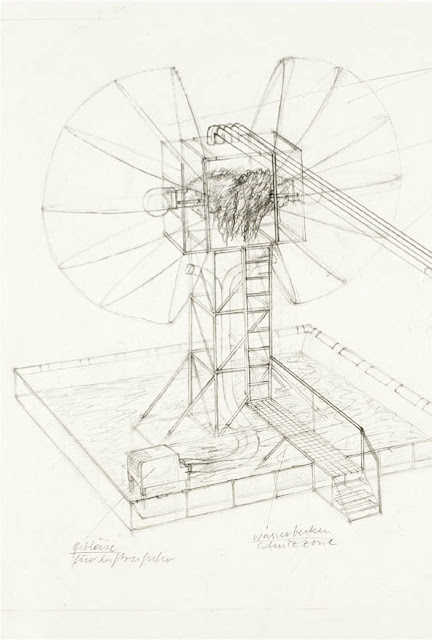 Inner World / Innen Welt presents a comprehensive selection of archival drawings and collages, photographs, models and ephemera spanning Haus-Rucker-Co.’s 25-year collaboration. Some of the projects on display were realised in public spaces; others remain virtual—and often fantastic—solutions for social, political or environmental concerns. Exhibited projects include Oase Nr. 7, a bubble-like personal oasis which protruded from the façade of the Museum Fridericianums during the 1972 Documenta; Gelbes Herz, a psychedelically-patterned “communications space-capsule for two people”; Rahmenbau, a giant framing mechanism contrasting urban sprawl with the natural landscape; and Cover, a temporary white inflatable casing erected over Mies van der Rohe’s 1921 Lange House in a gesture of architectural dialogue. Inner World / Innen Welt marks the 20-year anniversary of Haus-Rucker-Co.’s dissolution with a celebration of the broad scope and conceptual density of this extraordinary group’s output. Haus-Rucker-Co. was founded in 1967 by Laurids Ortner, Günther Zamp Kelp and Klaus Pinter, later joined by Manfred Ortner. The group has exhibited internationally, including participation in Documenta 5 and 6, and was the subject of a major exhibition at Kunsthalle Wien in 1992, the year of the collective’s dissolution. Already working together as Ortner & Ortner on major building commissions from the mid-1980s, Manfred and Laurids Ortner went on to develop an extensive portfolio of built projects, propelling the preoccupations of Haus-Rucker-Co. into a new realm.